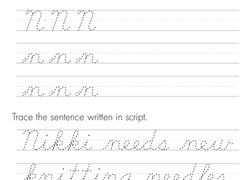 Digital age or not, handwriting isn’t going anywhere. 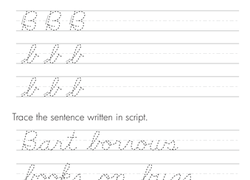 Help your child develop this essential early writing skill with our printable handwriting worksheets. 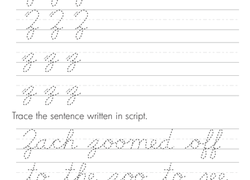 From tracing letters to copying and rewriting words and sentences, your child will get indispensable handwriting practise in both print and cursive while perfecting spacing between letters and words. 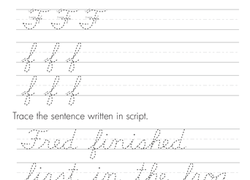 For more practise, check out our Spacing worksheets! 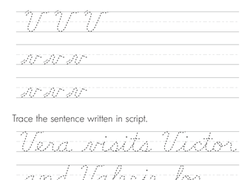 Vera and her vacation friends help kids practise writing capital and lowercase V in cursive on this year four writing worksheet. 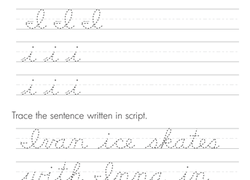 Scrawl your way to a cursive J with our cursive J worksheet. 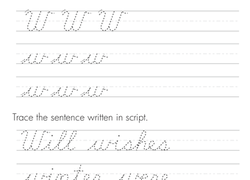 Our cursive J worksheet gets you to trace, write, and practise your way through a neat cursive J. 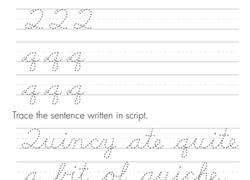 Your cursive O will be outstanding with this cursive O worksheet. 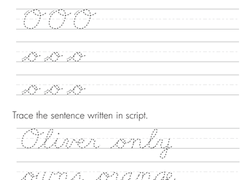 Oliver and his orange objects help kids practise writing capital and lowercase cursive O. 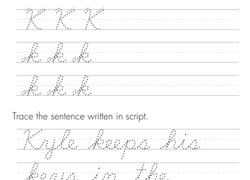 Help your kids improve their cursive with this handwriting worksheet. 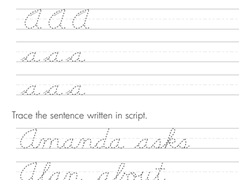 Students are given four words to trace and then write on the space provided. 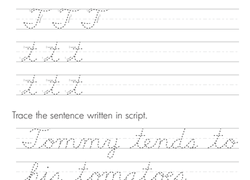 From tracing letters in print to writing complete sentences in cursive, handwriting worksheets put students on the path to perfect penmanship. 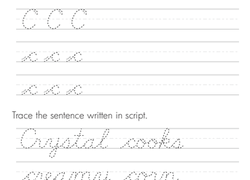 They also help with understanding the difference between lowercase and uppercase letters, as well as improve spelling skills and teach tense agreement. 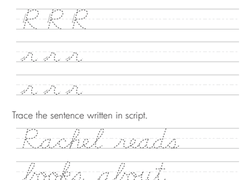 After your kids have mastered a series of these age-appropriate handwriting worksheets, have them put this new skill to use in real-life ways. 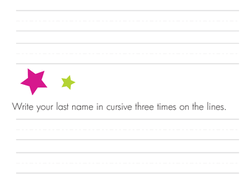 Next time you’re doing inventory for a grocery-store run, turn over the store list duties to your children. 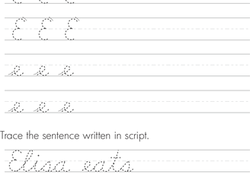 The youngest one can print the simple items like eggs, bread, milk, and soup, while the older kid can handle multi-syllable items like spaghetti, broccoli, bananas, and lunchmeat—and do so in cursive! 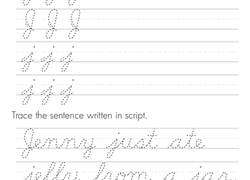 Other handwriting-improvement tricks include writing old-fashioned letters to grandparents and other distant relatives; penning Christmas and birthday wish lists; using finger-painting to print words and letters; and utilizing sidewalk chalk. 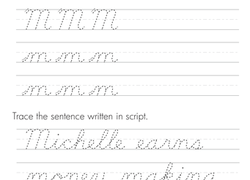 As with everything pertaining to your child’s education, don’t forget to offer up compliments when you notice a significant improvement in penmanship. 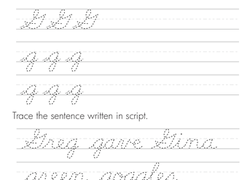 Not only will they appreciate it, but it will keep kids motivated to get even better!